With Australians projected to spend over $1.4 billion dollars online in the first week of Christmas alone1, shopping for presents online shows no signs of abating. The sheer fact that so much money is spent online and the vast number of transactions this accounts for is really only possible due to the increasing rise of ecommerce websites. When websites first became ‘vogue’, few would have predicted they had the potential to become the main source of revenue for any business, or that some businesses would decide to only trade online. Coupled with the ever increasing cost of running traditional retail, as consumer shopping habits changed,so too did businesses by turning their online presence into a fully-fledged transactional website in order to sell directly to their customers. 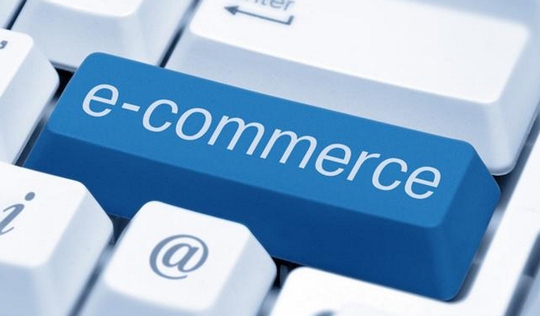 The Ecommerce website was born. In the beginning,ecommerce merely took the form of a relatively simple addition to any existing website.But as online sales became increasingly important, businesses looked to develop increasingly advanced and unique online experiencesin order to build consumer trust and drive repeat sales. So advanced, retailers are now utilising bespoke solutions built upon dedicated ecommerce CMS platforms such as Magneto. Billed as ‘offering flexible, scalable ecommerce solutions’ to help online retailers develop and grow, Magento as a platform itself has around 30% of the entire ecommerce market share.Beingopen-source, Magentoallows anyone to change its core-system or develop any number of extensions required to complete a project’s functionality. With a number of readily available extensions developed,digital agencies such as Soul Digital can easily manipulate Magentoin order to suit a client’s needs. Magneto offers online retailers the ability to customise their ecommerce experience to provide an appealing yet functional experience – allowing consumers to find what they want easily but in an engaging manner. The benefits to a successful ecommerce website are obvious: No rent for an actual physical storefront, low staff overheads, ease of transaction and the ability to promote your brand to a much larger audience. That isn’t to say that providing an online store doesn’t have its problems, as with all things ‘technology’ there can be issues:Websites crashing under the weight of heavy traffic loads are a prime example – especially on days leading up to events such as Christmas. Hosting an ecommerce website with a low-cost (and normally, low quality) host server often means that they cannot facilitate the weight in traffic that a website will receive on particularly busy days. Many of the big retailers now have their own dedicated digital agency specifically engaged to support their website and ecommerce functionality – including their own dedicated host and servers. Clearly with the amount of money being handled online, retailers cannot afford for their websites to go down, resulting in lost sales and a poor user experience. If you have a product or a service which can be sold online and you are not currently using an ecommerce website to facilitate the online provision of these to your consumers, then you are missing out on a huge opportunity to develop a serious revenue stream. With smartphones, tablets and laptops now increasingly used by ‘on the go’ consumers, you need to ensure that your products or services are accessible to everyone – anytime of the day. What Are Structured Data and What Are They For?